Polling and research show a quiet crisis underway for retirees and people saving for retirement. "Nearly half of working-age families have nothing saved in retirement accounts, and the median (half had more, half had less) working-age family had only $5,000 saved in 2013," writes economist Monique Morrissey, at the Economic Policy Institute. Not all of this problem is within our control. But much of it is, though, which means that hard choices are ahead. Here are 10 ways to get your plan back on track. Some require extreme changes but, if you're worried about retirement, you may be ready. The sooner you start, the easier your job will be. Paralysis is understandable: We’re living longer and being forced to assume more of the savings and investment burden — with little or no education or support. 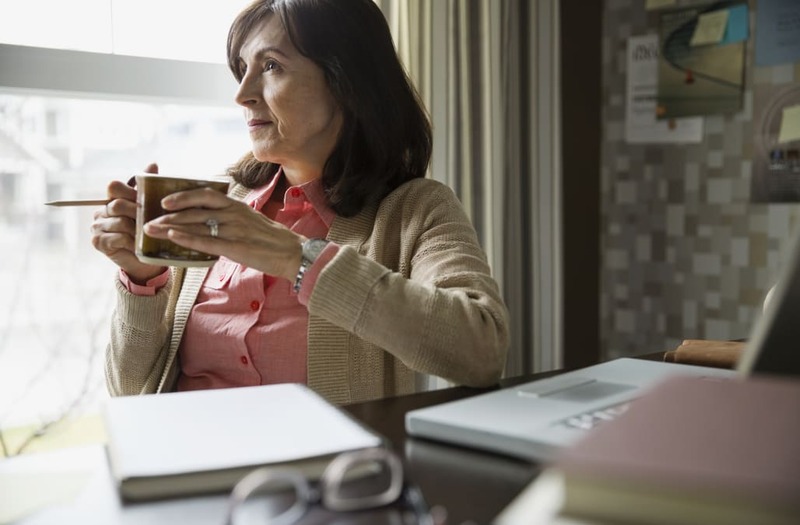 “Nearly three-quarters (75 percent) of pre-retirees agree that they should be doing more to prepare for retirement, but 4 in 10 (40 percent) say they simply don’t know what to do,” says Prudential Investments’ 2016 Retirement Preparedness Study. Take this to heart: You don’t need to know what you are doing to get started. Start saving, keep saving and learn as you go. Set a savings goal. It may change later, but pick a number now to get going. Try to have saved six to nine times your annual household income by your mid-50s to early 60s, says Walter Updegrave, at Real Deal Retirement. That means, if your household earns $56,516 — the median household income in 2015 according to the latest Census numbers — make your goal six to nine times that amount: $339,000 to $508,500. Yes, it seems vast. You may not quite get there, but you’ll be better prepared for retirement than now. A nest egg of $339,000 lets you withdraw about $1,835 a month ($22,020/year) if your savings grow at 5 percent a year. A nest egg of $508,500 would let you withdraw about $2,753 a month ($33,036/year) if your savings grow at 5 percent a year. Take note: Don’t treat retirement calculators as the gospel truth. As Money Talks News founder Stacy Johnson points out, many are “click bait,” meant to entice you into making a purchase. At best, they’ll give varying answers, depending on their assumptions and the questions they ask you. There’s a danger you’ll get a false sense of security from the numbers. That’s why it makes sense to use several calculators, stay skeptical about their results, and update your savings goal as you learn more. As you probably noticed, a nest egg of six to nine times your current income will not replace your preretirement income. Social Security, a system designed to collect taxes from the paychecks of working Americans and distribute benefits to retirees, can help close that gap. Many believe Social Security’s financial resources will disappear, noting that the ratio of American workers to retirees keeps falling, but they could be mistaken. Even if Congress lets the fund become “depleted,” as Social Security planners say will happen in 2034 without action, you’ll still get to receive 79 percent of your benefits, says The Atlantic. But if you can manage to keep your hands off the money for longer you’ll get an even bigger payout. Delaying benefits after a full retirement age of 66 (for retirees born between 1943 and 1954) grows your benefits by 8 percent annually until age 70. That means you’d increase a $1,500-a-month benefit (by 132 percent) to $1,980 a month. Sign up at SocialSecurity.gov/MyStatement to find an estimate of your what your benefits will be at age 62, at your full retirement age, and at age 70. Also, if your retirement is in peril and you are helping your kids financially, you’ll have to stop. There are other good reasons for withdrawing your support besides your money woes: Supporting adult kids can undermine their self-sufficiency. This is the home of the free and the land where 37 percent of people in their 50s have been divorced at least once. Of course you should not stay in a marriage defined by violence or deep, longstanding incompatibility. But if you’re on the fence, understand that divorce deeply wounds couples’ finances. This is especially true for women (because they earn less and often drop in and out of the work force for family reasons, contributing less to Social Security and retirement funds). But divorce affects men’s finances, too. Divorcing at an older age can make it especially hard to recover. Think realistically about the financial implications for yourself, your children and your retirement. Foot-dragging is a great tactic for extending the life of your retirement savings. Hold off quitting work as long as you can. Wait to claim Social Security retirement benefits. Waiting helps delay the moment when you’ll need to crack open your nest egg, giving investments longer to grow and you more chance to contribute to them. If you will have a financially tight retirement, leave savings untouched as long as possible. Stay on the job — whatever job you can get. A low-paid job, or a part-time job is better than no job since every dollar earned is one you’ve left in savings for later. All debt, and high-interest credit-card debt, in particular, forces you to spend money on interest that you need for investing in retirement accounts or living in retirement. Set a goal to pay off debts, even your mortgage if possible, before retiring. You’ll have to cut back on spending when you retire, anyway. If you start now, you can use the savings to fund your retirement. A drastic cut in spending requires big decisions and determination. How would life change if you decided to spend no more than 30 percent of your income on housing? You may decide to move to a cheaper part of the country, or to leave the United States and move abroad. Spending less than you earn is the magic sauce that enables people to save, live debt-free and rescue shaky retirements. “The three most powerful things you can do (to rescue your retirement) are to control how much you spend and save more, work longer and use your house as part of your retirement plan,” says Boston College’s Financial Security Initiative (and savings calculator). If you own a home, the equity may well be your biggest source of wealth. The two most common ways to tap it are taking a reverse mortgage or selling the home and downsizing, investing the profit in a retirement account. Maybe you don’t want to sell or take on debt. There are other ways to use your home as a retirement asset. For example, you could rent a room to a boarder or get a housemate — or occasionally rent part of the home to vacation travelers or rent it out while you travel — or live in a cheaper location. Jobs with old-fashioned defined-benefit pensions — the type that pay retirees a set amount each month — are scarce, but they have not entirely disappeared. You could make it your mission to find one. Such benefits are increasingly attractive to job-seekers, finds a survey by global advisory company Willis Towers Watson.